Police and the coastguard were scrambled to Beachy Head after a ‘body’ was spotted in the water. Four rescue teams along with the search and rescue helicopter and police officers were called to the seafront at 2.15pm yesterday afternoon Friday (May 4). The Coastguard said after a thorough search the body was recovered by an Eastbourne lifeboat crew. A police said it was discovered to be a mannequin that had been thrown over the cliffs at Belle Tout by a film crew. The crew had left the scene by the time officers arrived. A police spokesman said: “At 2.15pm on Friday 4 May we received reports of a body in the water off Beachy Head. “We made enquiries and by 3.30pm we established a mannequin had been thrown over the cliffs at Belle Tout by a film crew who had left the scene before arrival of police. 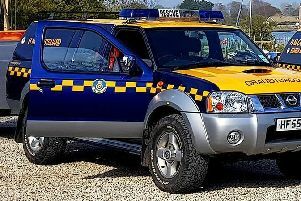 The Birling Gap and Eastbourne Coastguard Rescue Teams, two crews from Eastbourne Search and Rescue and the Search and Rescue Helicopter were all called to the incident. National media is reporting the cost of the response is believed to be around £3,000. A spokesman for the Maritime Coastguard Agency said: “We never put a price on a human life. The member of the public who called this incident in did exactly the right thing to call us. They added: “With the beautiful weather this weekend we would just like to put out a reminder to everyone who is enjoying the coast to be very aware when they are on cliff edges and follow the coastal paths.